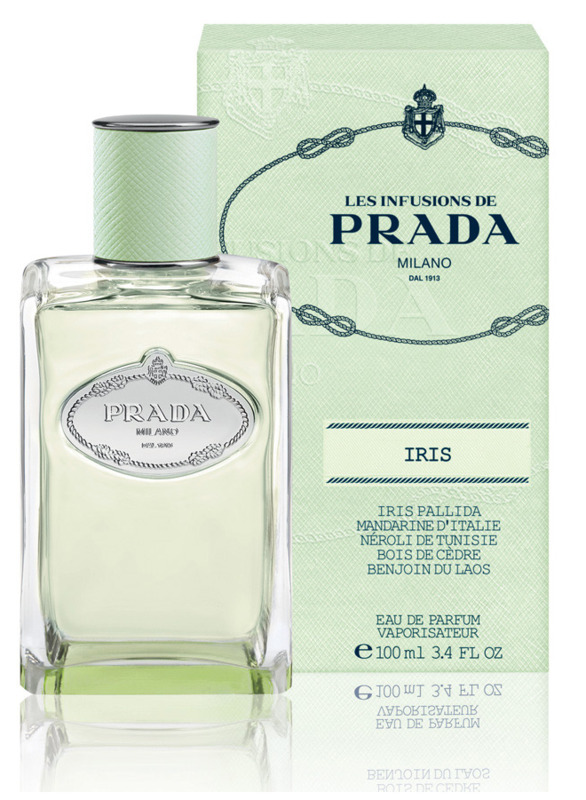 Infusion d'Iris (Eau de Parfum) (2015) is a popular perfume by Prada for women and men and was released in 2015. The scent is powdery-fresh. It is being marketed by Puig. you know I like him. I love you, I scum. so soft and not loud at all. the juice of the mandarin. gets out of here nice. That gives another round of applause. the rhyme that is really smart. this also gives no moaning. you can wear it again. but you don't shy away from cost issues. I just love you more. i won't give you back. with sun and lots of fun. can always give you presents. you just want to distract. are also not from bad parents! I have a very full wardrobe and actually for every occasion something suitable to dress. And yet every day I stand in front of it again and have the feeling that today simply nothing suits my mood. It's to milk mice. But wait! I still have one trump card: there is this beautifully simple, cream-coloured silk blouse that I bought years ago on a day trip to Salzburg. This blouse, in all its simplicity, is for me the salvation in distress that is always appropriate, no matter what the occasion. And she makes me feel good, maybe even beautiful. She suits me, she suits me. The Prada iris is the olfactory equivalent of this blouse. Not exciting, but so unbelievably round and incontrovertible that it is always wearable and gives me a feeling of well-being. I feel good with this fragrance, I may even feel attractive. All this happens in such an unagitated, relaxed and subtle way that it is probably only me who perceives it. But as long as I abstract this feeling of inner satisfaction to the outside, it fits. Powdery-creamy, slightly floral and a very tiny bit of "spice" - simply wonderfully reserved and pleasant. Not "Wow" (breathtaking), but a positive "Hmmmmmmhmm" (comforting sighing). I wasn't a fan of iris until a few months ago. This scent here has reconciled me to her and opened this door for me. Thanks to Infusion d'Iris for that. A permanent place in my collection has definitely earned this feel-good fragrance. Pour fresh clear stream water over all this, stir the whole thing and let it stand in the sun. After a while they strain everything through a sieve and fill the now wonderfully fragrant infusion into the small bottles on which they write Infusion d´Iris . The infusions are gifts for afflicted human children. This elf-like fragrance is a wonderful mixture of soul scents that soothe, balance, strengthen, protect and wrap. So this extraordinary perfume can form a gentle protective aura and accompany us through the day. Infusion d´Iris is like staying at a clear stream full of flowers and sun. A short break in the sometimes painful hectic of everyday life and a particularly beautiful fragrance for everyday work. The fragrance is sweetly powdery with soft green freshness and light flowers. The cedar gives hold and a slightly woody note, benzoin soft vanilla warmth. Everything is outshined by the powdery noble freshness of the iris. Fortunately, the elves of Prada have not found the galbanum. The scent is so much more beautiful and lovely. I didn't like the strict, decent and boring galbanum in the old version. This one however I find simply only bezaubernd beautiful. Under tears Infusion d'Iris now stood there, which is why I let myself be beaten softly by her and thought "naaa well, you can sniff it..."
The prelude is slightly citrus-fresh with a soft aquatic note... The iris is also immediately present... and HOW... WOW, just a dream...! The scent hardly changes on my skin from then on, so you can't really speak of a course of scent - which I find absolutely terrific...!!! Well, then everything became clear to me.... I sniffed at that time the version of 2007 and not the 2015!!!! I sniffed at my arm and was thrilled ... a fresh fragrance, it smells different fresh, lighter and always inviting again to sniff hmmmmm I think and then he becomes sweeter, a little soapy and powdery to equal ... ohhhh my God I think, how heavenly.... as it always is, he couldn't get out of my head anymore, I read about the scent and found that the shelf life wasn't supposed to be so great, which then made me a little thoughtful again, because I really like to smell a scent well during the day. Gds I convinced myself in the end and ordered the fragrance as bottling here. On my skin it has an unbelievable durability, so a day in the office with 8 h creates it with me really loosely and I am really new again and again in Love, already from the first sprayer, I feel the whole day as freshly washed ;-) as if I had just jumped out of the washing machine myself and I would have used the most beautiful fabric softener in the world. I feel radiant, the scent envelops me and gives me a warm, fresh feeling all day long. In my wish list he slipped and my bottling almost all :-( . Well that's soon Christmas :-) then the Lord of Guilt can make me a nice gift :-) I then take the 750ml bottle! This perfume could be similar to a White silk shirt: minimal, but very elegant and classy. Write the first Review for Infusion d'Iris (Eau de Parfum) (2015)!